Bill, a native New Orleanian, entered the design-build business in 1982. Bill earned his Civil Engineering and Master of Engineering degrees from Tulane University. Bill began his career designing foundations, structures, and site paving in a design-build atmosphere working closely with architects and project managers within the same firm. This experience gave Bill an appreciation of true collaboration at a higher level. Bill has been a registered Professional Engineer in Louisiana, Texas, Mississippi, and Florida since 1986. 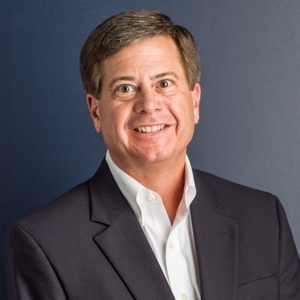 Prior to Dupont-LeCorgne, Bill has worked at the following: Woodward Design+Build, LLC (New Orleans’ largest commercial contractor), Danis Shook of Florida, and Palmisano Contractors, LLC. In the late 1980’s Bill migrated from engineering into the construction estimating and project management side of the same firm and grew to love project operations functions Growing in various types of projects and responsibilities, Bill used his engineering and project management experience to advance to the role of Senior Vice President and Chief Operating Officer. Bill has worked on a vast number of projects to include: hotels, multi-family living, apartments, condominiums, garages, automobile dealerships, warehouses, industrial plants, office buildings, renovations, historic restorations/renovations, light industrial manufacturing, specialty construction, high-schools, lower-schools, universities, doctor offices, hospitals, medical office buildings, churches, restaurants, retail stores and strip shopping centers, and high-end residential. Bill is a true believer in an integrated team approach. He is open to new ideas and change and realizes that a group of people working together will find solutions better than individuals working independently. Bill is an organized person who utilizes process, action items, and discipline to coordinate the multiple tasks associated with design and construction projects. Professionally, Bill participated with executives for ten (10) years in a construction peer group, was a member for ten (10) years of the Key Member group of a local Vistage chapter (formerly The Executive Committee), and was the founding member of a local Toastmasters International chapter. Bill believes that participation in various community activities leads to making our city a better place to live. Bill is presently on the Board of Commissioners at City Park and is on the Board of Directors of Crimestoppers. He has held past Board positions with ACE Mentor Group (Architecture, Construction, and Engineering), Priestley Charter School of Architecture and Construction, and Stuart Hall School for Boys. Bill volunteers as a member of Sacred Heart’s Buildings and Grounds Committee and he was a past Delta Chapter committee member of the Coastal Conservation Association (CCA).